If you looking to have a fun-filled day with family, this park is an ideal place. The best part is that you have to pay nothing for getting admission here and you can spend as much as time you want. Children mostly enjoy the jungle gym and the zoo inside the park. Under the canopy of lush green trees, you can enjoy some snacks with your family. From here, you can visit the Costera beach while on the other hand, you can go shopping (the jewelry shops are the best ones). There are plenty of benches under the shade of trees to have a picnic. 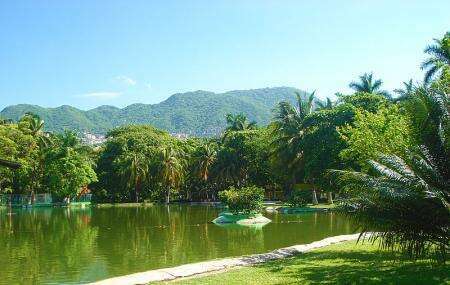 Try the best Acapulco trip planner to visit this Parque Papagayo as well as many others. You can add cozy hotels in Acapulco like Holiday Inn Resort Acapulco, Copacabana Beach Hotel and Park Royal Acapulco-all Inclusive Family Beach Resort. Chalk out the best way to discover the city with Acapulco vacation packages. Check out various modes for how to reach Acapulco. How popular is Parque Papagayo? People normally club together Casa De La Cultura and Tacos 'n Beer while planning their visit to Parque Papagayo. This turned out to be a nice little experience, nothing over the top. There were a few activities for the kids and I had a blast on the little pedal cars. Make sure you see the coconut lady and say hi.